Halo has been a pillar of the FPS genre since the franchise launched in 2001. This influential series has released some of the best-selling titles of the last three console generations. 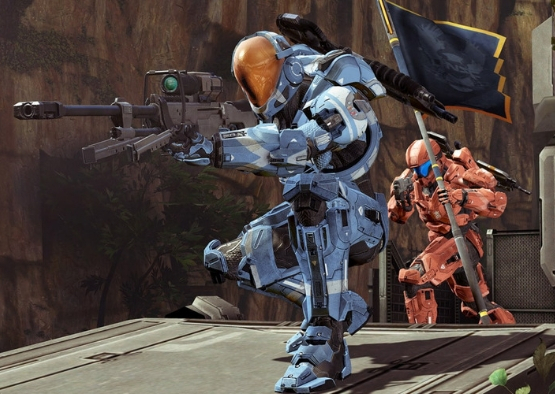 Certain Affinity has had deep roots to the Halo Franchise before it’s founding. Max Hoberman and others who founded CA were all originally part of Bungie and brought a depth of knowledge from their day at that studio. Certain Affinity’s contributions to this illustrious chapter of video game history date back all the way to Halo 2, spanning multiple classic FPS titles. Developing content for successful multiplayer titles requires a studio that can dedicate valuable staff resources to generating content post-launch. To avoid this limitation on their internal teams, Microsoft tasked Certain Affinity with developing some of the first DLC content for the Halo franchise. This partnership would solve a general scaling issue for the Bungie team and serve as a model for development in future Halo titles. Very few partners have the ability to grow with a franchise of this magnitude. Certain Affinity proved it was up to the challenge. In 2007, Microsoft asked Certain Affinity to develop multiplayer maps for the Halo 2 Blastacular Map pack. 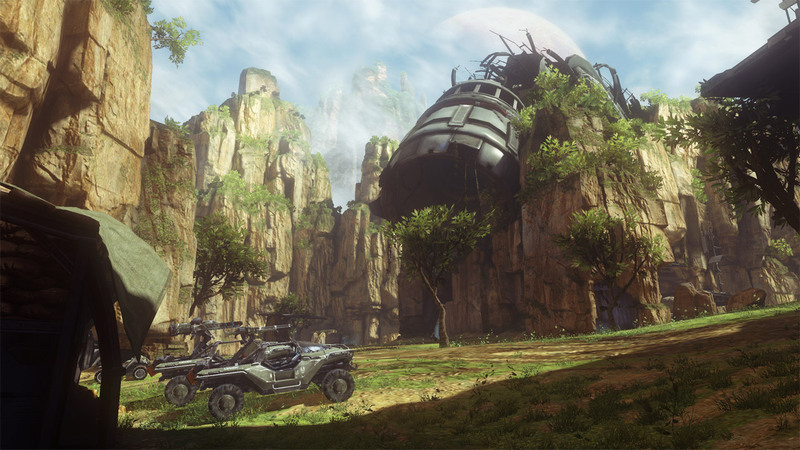 These maps, Tombstone and Desolation, were remakes of fan-favorites Hang ‘em High and Derelict from Halo: Combat Evolved. This project focused on incorporating and updating elements from the original designs, providing full concept-to-feature-complete art and design updates to work with Halo 2’s multiplayer. 2009 saw Certain Affinity contributing development to Halo Waypoint. This Xbox 360 app featured fan content, community engagement tools, and player profiles to track their ongoing Halo career. Certain Affinity led client-side design and development on this project. In 2011, Certain Affinity joined 343 Industries and Saber Interactive to bring Halo: Combat Evolved Anniversary to the Xbox 360. 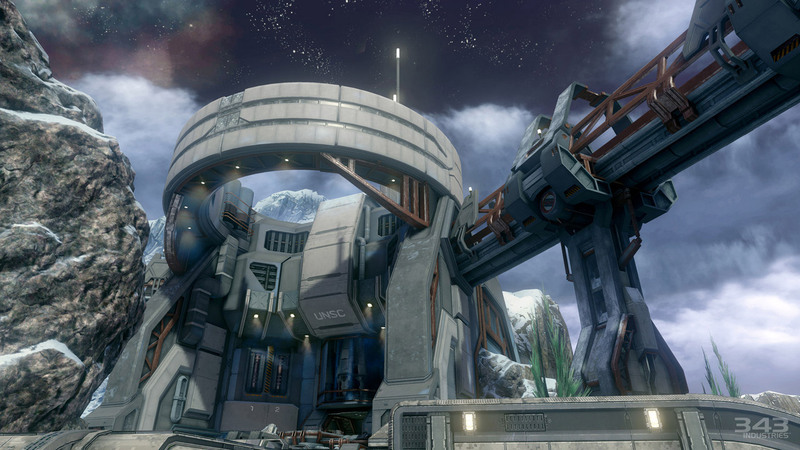 Certain Affinity took on the development of 7 co-op and PvP maps, remaking some of the most popular maps from the original Halo. This required updated art, design elements, and the incorporation of many new design components from Halo: Reach. Along with an expertise in the FPS space, Certain Affinity brought knowledge and passion for the original maps and game to the project. That same year, Certain Affinity also contributed to the blockbuster Halo:Reach with the Defiant Map pack. This project called for 3 firefight and PvP multiplayer maps from full concept to feature-complete. Featuring art elements inspired by the Halo novels, Halo: Reach was developed side by side with Halo: Combat Evolved Anniversary, and showcased Certain Affinity’s capabilities as a multi-project studio. The new maps are grounded in a mix of beautiful scenery and devastating effects of war- - an aesthetic that Bungie’s games do better than almost anyone, and Certain Affinity has followed suit with some gorgeous locales. 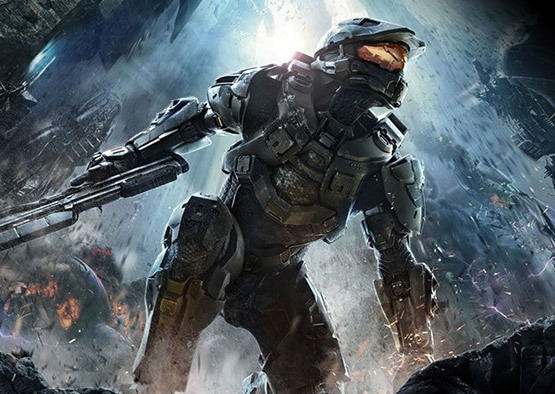 In 2012, Certain Affinity tackled the challenge of Halo 4. Alongside 343 Industries, Certain Affinity developed features and content for Forge, the map and game mode editing tool. Additionally, Certain Affinity developed multiplayer game modes including the Dominion game mode and full concept-to-feature-complete development of 10 PvP maps. This project showed off Certain Affinity’s resources as a multi-disciplined studio, providing engineers, artists, and designers who functioned as a core extension of the 343 team and delivered one of the year’s largest titles. This work would continue with the Majestic, Castle and Bullseye map pack, adding another 8 maps to Halo 4 and increasing the value of a title that quickly became one of top 10 best selling games on the Xbox 360 platform. In 2014, Certain Affinity revisited the franchise once again with Halo: The Master Chief Collection. Certain Affinity was responsible for updating Halo 2, including all client-side development and progression features, and bringing Halo 2 gameplay systems to the Halo 4 engine — not to mention all the weapons, vehicles, characters. animations, game modes, and achievements. Additionally, Certain Affinity provided a team to develop further Forge user editor improvements, and 6 multiplayer map remakes of Halo 2 favorites with new art assets. This initiative highlighted CA’s deep experience in multiplayer systems development, full feature implementation, passion and care for the franchise, and the technical expertise required to bring Halo 2’s proprietary engine and nuanced gameplay to an entirely new platform. Exile represents the best of the Halo 4 maps, and it’s not just because it’s shiny and new; it plays really well, in pretty much any mode you throw at it. While all these titles differ in terms of project scope and timelines, they are all built on one key element required for a great co-development relationship: trust. Certain Affinity overcame several challenges in its multi-year journey with this legendary franchise. Developing on a proprietary engine, developing on cutting edge consoles and technology, building an expertise on both a client’s technology and IP — all of these elements have allowed Certain Affinity to succeed with this partner and others. Microsoft, Bungie, and 343 Industries trusted a partner with their crown jewels — and Certain Affinity delivered on that trust. The lessons learned, coupled with a multi-project philosophy, became a major part of Certain Affinity’s success with the Halo Franchise. Certain Affinity built a track record of AAA quality with these games, and the company remains proud to have contributed to the epic adventures of Master Chief! Stay tuned for future in-depth case studies on some of our work on individual Halo projects!